BuddyPages are deleted from the edit page screen. Click "Edit" when viewing a BuddyPage. On the lower right you will find a delete link. Site Admins can edit and delete BuddyPages from the BuddyPages admin menu item. Note: this completely removes the content from the site. 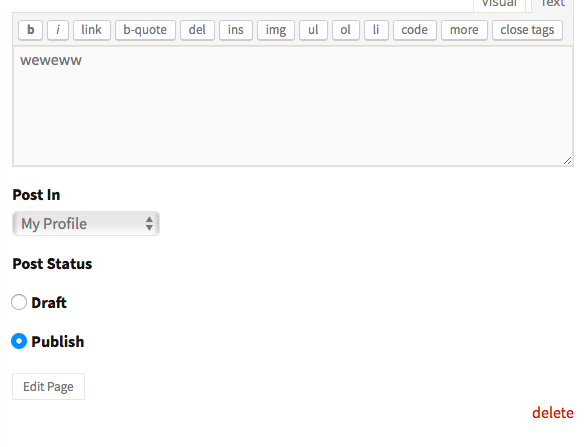 if you want to keep a page but not display it on the site choose the draft option in post status.